Neofresh & Urine Odor Remover Wipes are impregnated wipes with a bio enzymatic urine odor and urine scale remover based on natural ingredients such as bacterial cultures which provide the odor degradation. 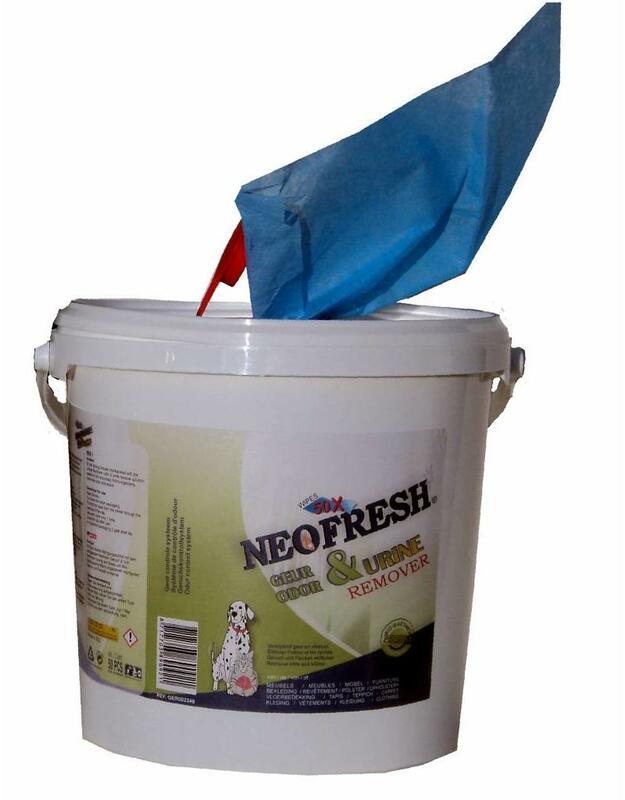 Neofresh & Urine Odor Remover is suitable for removing unwanted odors or urine from litter and waste container, furniture, clothing, upholstery, floor coverings and hard floors. 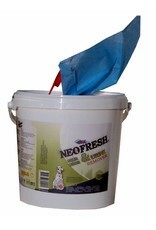 Neofresh & Urine Odor Remover Wipes are also pleasantly scented. Neofresh & Urine Odor Remover Wipes His ideal when cleaning up "accidents". After treatment of the surface ensure bio cultures for long aftereffect.